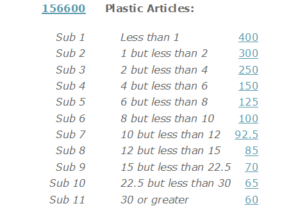 If you are unfamiliar with freight classification, check out or blog post titled Class Dismissed. Recently, we have come across a few cases where the shipper knows what class their freight is, but does not know the NMFC number. We would like to take this opportunity to explain how the class is determined from an NMFC Number. 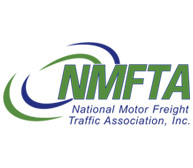 NMFC stands for National Motor Freight Classification. It is a standardized method designed to give shippers uniform pricing structures. To match a commodity with an NMFC, please visit NMFTA’s Website by clicking here. Their search engine allows users to type in their freight description and find the corresponding NMFC. classes associated with that NMFC Number. There can be as many as 18 classes for an NMFC ranging from class 50 to 500. Density, stowability, handling and liability determine freight class. We have found that the majority people that we talk with understand that freight ships in classes, but are unaware of an NMFC. Does this help explain NMFC a little better? I have been surfing on-line greater than three hours as of late, but I by no means discovered any interesting article like yours. It?¦s beautiful worth enough for me. In my opinion, if all website owners and bloggers made just right content as you probably did, the web shall be a lot more helpful than ever before.